An ambassador for real house music and leading light in Toolroom's #RESET campaign, Weiss marks the culmination of a big year with the release of ‘City Life’, a collection of his finest productions and remixes to date. With his releases inspiring support from many of his peers in the industry, including Green Velvet, Gorgon City, Loco Dice, Tensnake, Kenny Dope, Claude VonStoke, Richie Hawtin, Pete Tong and B.Traits (Radio 1), and with big performances across the globe, including at We Are Festival, Fabric and Booom Ibiza, as well as his eagerly anticipated Asia, US and Toolroom Live tours, Weiss has been sharing his love for underground house music. 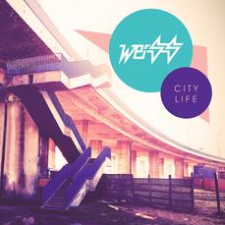 Featuring ten house tracks on one playlist, Weiss’ ‘City Life is a good release for dedicated Weiss fans and any true fan of house music.